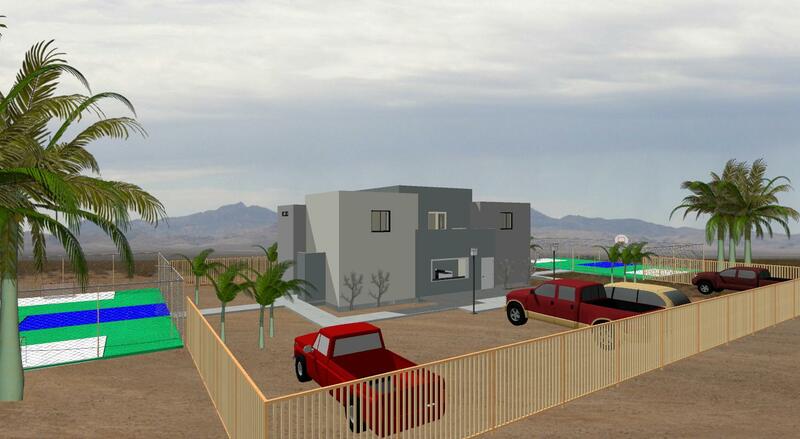 The Baja land took a couple of HUGE steps forward the last couple weeks. We have one more step in processing the bank account for the non-profit and we have met with a notary to get the final papers approved. I have been told that this whole process can take up to two years, however so far it has only been 5 months. We are hoping that we can complete the process by the middle of May. While we wait for closing, we are trying to get all the permits ($2500), electricity ($13000) and the closing cost raised ($1500). The local Mayor of Vicente Guerrero has been an invaluable help to our Baja projects. He has been involved since our building program was announced. We were introduced to him one month after he was appointed. We shared with him our goal for coming to Baja was to help impact the everyday lives of his people, for the better. After sharing what we wanted to accomplish, he has told us that he would like to help us do whatever he could to push things through and fulfill the vision we shared. He has been true to his word. Between information, permits and going to bat for us at the state level he has been a major proponent for our building. This last week, the current owner gave us permission to do small, non-construction projects on the property. We had a team last week that helped start one of these projects. One of the team members got a little teary eyes when he realize that he walked over this particular piece of property last summer. He realized the dream of having a base was coming to fruition. 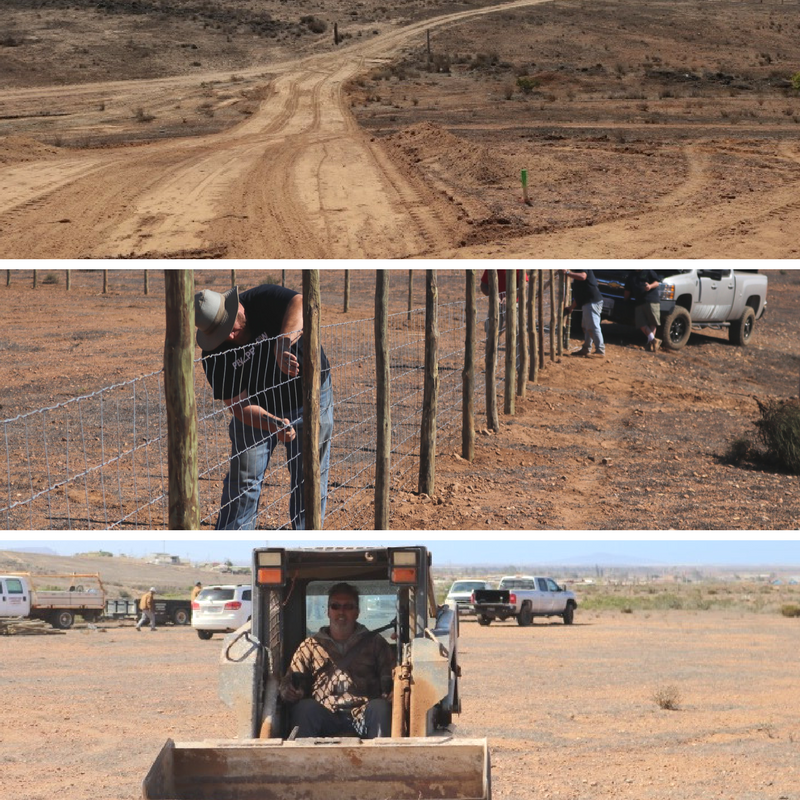 It took 2½ days to complete our first fence over 1/3 of the of property. We encompassed what will be our first phase of our “Master Plan”, which is our summer camp. You could almost feel the students running around, playing and their lives bring changed as we worked on the fence. I know it is a crazy thing to say, however we could feel something special on that plateau. Our desire is to see people, young, and old come and stay on the base. To have summer camps for youth from the local area students mixed with American students, and to watch change happen. Once we close on the land purchase, we will start the first phase of our project, which will include four tent cabins. Each tent will be 16’x32’ (already donated) and will set upon a pony wall and will have a movable wood base for the flooring. We need to make 12 tent-bases which cost $170 each and each wall will be about $210 (4 needed). Practical things to make this base and summer camp work are the most common things we think of, i.e. water ($3,000), sewer ($5000) and kitchen ($12000). Fun things we are looking at building and buying are things like, Go-carts, zip line, ropes course, baseball field and much more. 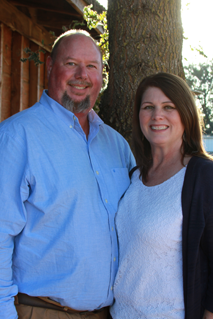 Karl and Sherry Hus are working to establish and manage the long term success of StudentReach in Baja. They live in Baja and work everyday to serve the people and the communities in need there.